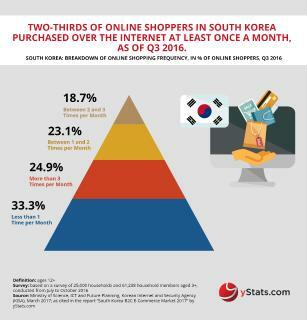 Germany-based secondary market research company yStats.com has published a new report about the world’s fourth largest region in B2C E-Commerce sales. The publication, titled “Eastern Europe B2C E-Commerce Market 2015,” reveals that despite the double-digit growth of B2C E-Commerce sales in Eastern European markets, the regions’ combined share of global B2C E-Commerce is predicted to remain unchanged for the next four years. The fourth largest region worldwide in terms of B2C E-Commerce sales, Eastern Europe is home to several emerging online retail markets. However, despite the double-digit growth rates of these markets, Eastern Europe’s share of global B2C E-Commerce is predicted to remain unchanged for the next four years, due to more rapid expansion of the Asia-Pacific region. 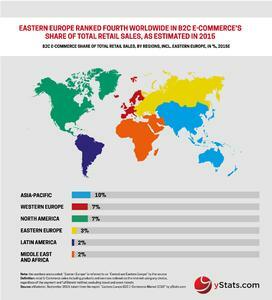 As shown in yStats.com’s report, B2C E-Commerce sales accounted for only a small one-digit share of the total retail sales in Eastern Europe in 2015, less than half of the shares in North America, Western Europe and Asia-Pacific. This is an indication of the potential for further online retail growth in Eastern Europe, supported by increasing Internet and online shopper penetration in its leading countries. Russia was by far the largest B2C E-Commerce market in Eastern Europe in 2014, according to the research findings of yStats.com. Though both in Russia and Ukraine unfavorable economic conditions and devaluation of currencies over the previous two years had a negative impact on the consumers’ purchasing power, B2C E-Commerce sales in local currency continue to grow rapidly there, spurred by improving Internet penetration and increasing interest to making purchases over the Internet. In other major markets of the region, including Turkey and Poland, online retail is also evolving. 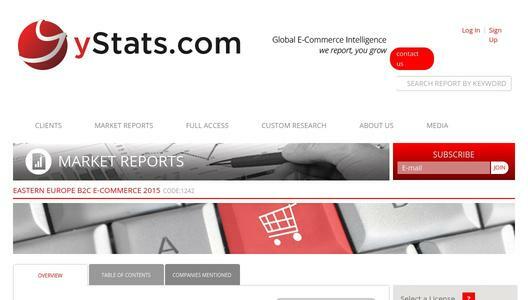 Important trends include the growth of mobile and cross-border E-Commerce, yStats.com finds. Smartphone penetration is growing across the region, with countries such as the Czech Republic having already surpassed a 50% smartphone penetration rate among the mobile phone users. Another interesting trend is popularity of price comparison websites, especially in Greece, Romania and Hungary. 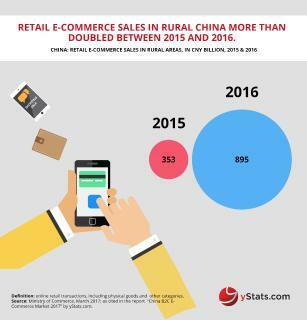 Moreover, local B2C E-Commerce websites have to cope with the growing popularity of Chinese online marketplaces, such as Alibaba.com and JD.com. However, the positions of national leaders, such as Allegro in Poland, Alza in the Czech Republic, Hepsiburada in Turkey, Rozetka in Ukraine, and Ulmart in Russia remain strong. Founded in 2005 and headquartered in Hamburg, Germany, yStats.com is one of the world's leading secondary market research companies. 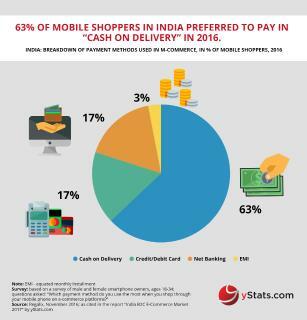 We are committed to providing the most up-to-date and objective data on Global B2C E-Commerce and Online Payment markets to sector-leading companies worldwide. Our multilingual staff researches, gathers, filters and translates information from thousands of reputable sources to synthesize accurate and timely reports in our areas of expertise, covering more than 100 countries and all global regions. Our market reports focus predominantly on online retail and payments, but also cover a broad range of related topics including M-Commerce, Cross-Border E-Commerce, E-Commerce Delivery, Online Gaming and many others. In addition to our wide selection of market reports, we also provide custom market research services. We are proud to cooperate with companies like Bloomberg and Thomson Reuters. 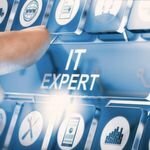 Given our numerous citations in leading media sources and journals worldwide, including Forbes and the Wall Street Journal, we are considered one of the most highly-reputed international secondary market research companies with an expertise in the areas of B2C E-Commerce and Online Payment.